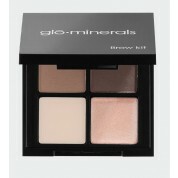 GloMinerals Highlighter adds just a hint of natural-looking light to the surface of your skin. Use the universally colored pink luminizer on your face and the rest of your body for a subtle, natural glow that looks like you’ve been kissed by the sun. GloMinerals Highlighter instantly brightens the complexion and is the perfect finishing touch for all skin types and conditions. Not only does the GloMinerals Highlighter beautify your complexion, it also protects your skin with antioxidants that scavenge free radicals and block environmental age-factors. 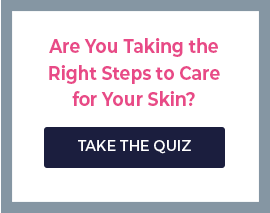 So not only will you look better, you’ll also be well-protected against extrinsic factors that cause premature aging. GloMineral Highlighter further works to nourish your skin, showering it with a reviving blend of vitamins and minerals. Meanwhile, green tea extract soothes and cools the skin on contact and improves the skin’s natural resilience. Allow vera further soothes the skin, cooling it on contact while promoting faster recovery. Featuring a botanical formula that naturally beautifies the skin, GloMinerals Highlighter also physically protects the skin by physically blocking the harmful rays of the sun with Titanium Dioxide and Iron Oxide. Apply GloMinerals Highlighter anywhere the sun naturally strikes. Blend with your makeup to create a natural glow and the illusion of improved facial contours. Remember, a little bit goes a long way, so don’t overdo it. Start with a little, and add more as needed for even more radiance. Let’s face it - we’re all trying to highlight our best assets! GloMinerals Highlighter helps you do just that. By brightening the overall complexion and accentuating the look of your natural contours, it creates a youthful, radiant look. Appropriate for all skin types and skin tones, it’s a must-have addition to any makeup collection. Try GloMinerals Highlighter today for radiant skin that looks naturally glowing!